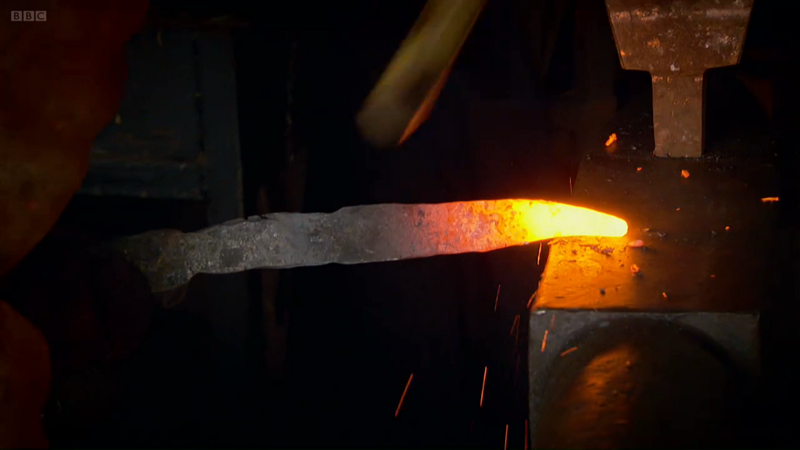 Couple of days ago I watched on BBC iPlayer this fascinating programme about metal, called How it works: Metal. Presenter Mike Miodownik goes through the history of metal since Stone Age, when our ancestors from Middle East found copper, starting a new era of Bronze Age. Copper on its own its malleable and soft, so is tin, but about 3000BC they realised that by melting those two metals together, making an alloy, they created bronze that was strong - excellent material for tools and weapons. The next great development in metallurgy was when iron was discovered, starting Iron Age around 1300BC in Ancient Near East. It took another 1000 years to Chinese to invent cast iron, but first iron foundry in England was only found in 1161 AD. Next stage from relatively brittle cast iron was invention of steel - iron with added element of carbon. Today steel is one of the most common materials in the world, used in infrastructure and machines to name few.